I can’t tell you how many times I’ve been stopped in a store while wearing a CrossFit t-shirt and a stranger will stop me to ask me questions about CrossFit. Since I teach CrossFit for a living, it is always a pleasure to talk about my passion. There have been some odd inquiries over the years and some that will make you chuckle. 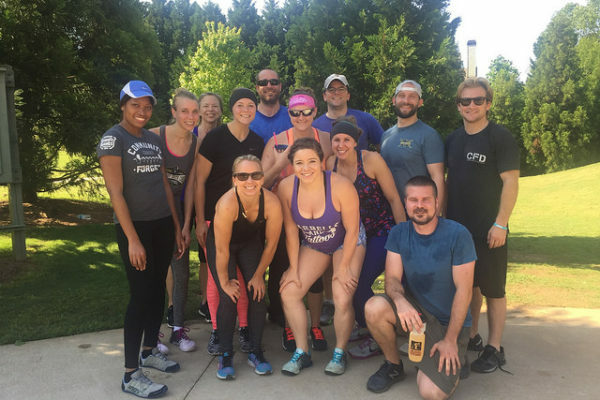 By far the most popular question I get is “do you think CrossFit is right for me?” If I answered that question 7 years ago in the infancy of my CrossFit experience I would have said, “Heck yeah it is! Doesn’t matter if you’re 8 or 80, come on in and I GUARANTEE it will work for you!” Today, my answer is a bit more complicated. The answer to that question now largely depends on the individual. Below are some of my reasons for and against trying CrossFit. CrossFit is right for you when: 1. You realize that you don’t know it all. Did you play sports growing up? Great! But if the last time you worked with a sports coach or strength and conditioning specialist was 25 years ago, chances are you may have forgotten a … Continue reading Is CrossFit Right for You?